Way back in 2000, I first heard about man purse in a Seinfeld episode and had a good laugh. Little more than a decade later, I find myself using one. Here is me defending in the court on why I use a man purse. Your Honour, Men needed just a few essentials those days. 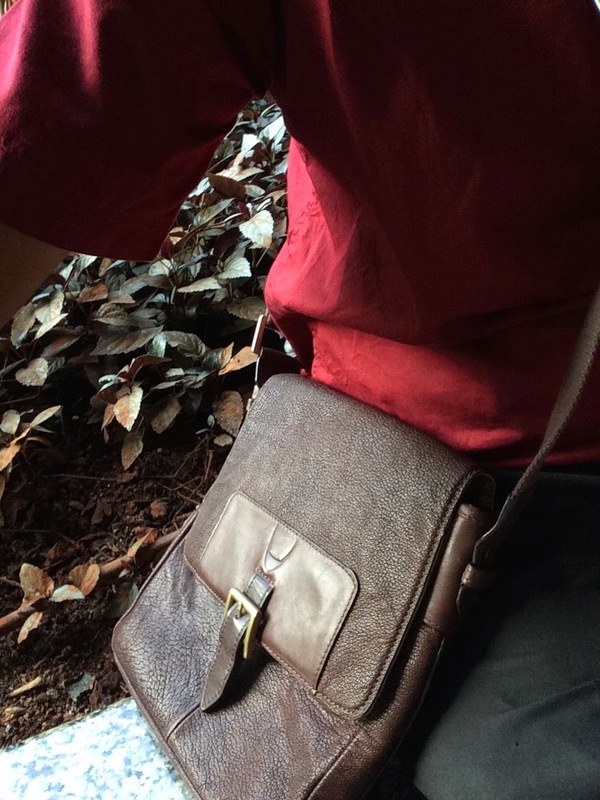 A purse/wallet + keys, a mobile phone + a hand kerchief and a comb on the back pocket. Real men don't need to carry a pocket note book. They write stuff and lose it behind credit card acknowledgements. If you were a metrosexual male then you will need a deo, a face wash, a mouth freshner, a hair gel, a hair spray, a hand sanitizer, a hand moisturiser, a sunscreen etc. - you would have dragged all these in a suitcase - and guys like you would have been husbanded soon and you will still be dragging that suitcase but with the kids diaper or the missus's stuff. I am digressing. Back to the defence. Some men carry a book to impress women but then it is best carried in hand - otherwise what is the point.